The National Iranian American Council, ever stalwart ally and apologist for the Iranian regime, posted a whopper of an editorial on its website offering a grim look at how a potential war between the U.S. and Iran would impact the environment. Let’s start off with the preposterous premise of Hariri’s piece in the first place, that a war is coming between the U.S. and Iran. We would offer that from Iran’s perspective, the Islamic state has already been at war with the “Great Satan” for decades, including arming and supplying terrorist groups such as Hezbollah to strike and kill Americans in Lebanon and Iraq for years. From the U.S. perspective, American presidents have tried mightily to decode the mystery of the mullahs and find a way to bring them into the normalcy of the international community. In President Barack Obama’s case, he tried to bow down and give them pretty much anything they wanted – billions in cash and no restrictions on terrorism or human rights violations – in a flawed nuclear deal that didn’t alter the trajectory of Iran’s intransigence. Now President Donald Trump has opted to treat the regime as the sponsor of terror and sectarian conflict it already has been, and the Iran lobby has predictably responded with hysterical and nonsensical commentary. While Hariri’s editorial does give short shrift to the regime’s idiotic acts in arresting and imprisoning environmental scientists, he does not give the mullahs their proper due in turning what was once considered an ecological wonderland into an environmental wasteland. He even goes so far as to blame President Obama’s economic sanctions in 2010 as a key factor in the rise of carbon emissions because of a faltering oil industry that had to refine oil in a haphazard manner. About the only thing Hariri didn’t blame the U.S. for was the disappearance of Jimmy Hoffa, but the year is still young. Common sense tells us that if there was ever a war between Iran and the U.S., the environment is going to be the least of our problems, but since he raised the issue, let’s examine just how pathetic the mullahs have been in managing Iran’s environment. Let’s start first with widespread and disastrous drought conditions plaguing Iran. Rahim Hamid, a freelance journalist, writing in Global Voices, details how choices made by the regime is dooming large stretches of Iran, especially those with large Arab populations. This isn’t the touchy-feely image the NIAC is trying to portray when it comes to environmental degradation, especially since it seems the Iranian regime have found a way to weaponize environmental conditions. Another piece by Nikoo Amini in Tsarizm paints an even darker picture of regime policies impacting the environment for political gain, this one involving a deal with Chinese fishermen to operate in Iran’s southern waters using bottom trawling methods that practically vacuum everything in the water and leaves an empty oceanic wasteland. The Chinese fishing licenses were granted by the Iranian Fisheries Organization, which is linked to the Revolutionary Guards and a source of income for the military. Besides the ecological devastation to coral sea beds and even the barbaric inclusion of an allotment of two tons of shark fins to be harvested in the licenses, the practical impact on local Iranian fishermen has been apparent in the economic ruin of their livelihoods similar to how Iranian farmers have been dispossessed by the regime’s policies. But that’s not all as the regime has approved the bulldozing of thousands of trees in the Alborz mountain range in northern Iran to build roads right through the heart of one of the few remaining forests in Iran. The Tehran Times reported it wasn’t even clear whether or not a permit had even been issued in another sign of the bureaucratic bumbling by the regime. Another sign of the bitter in-fighting of the regimes comes from the arrest and detention of seven Iranian environmentalists accused of espionage, but never formally charged. 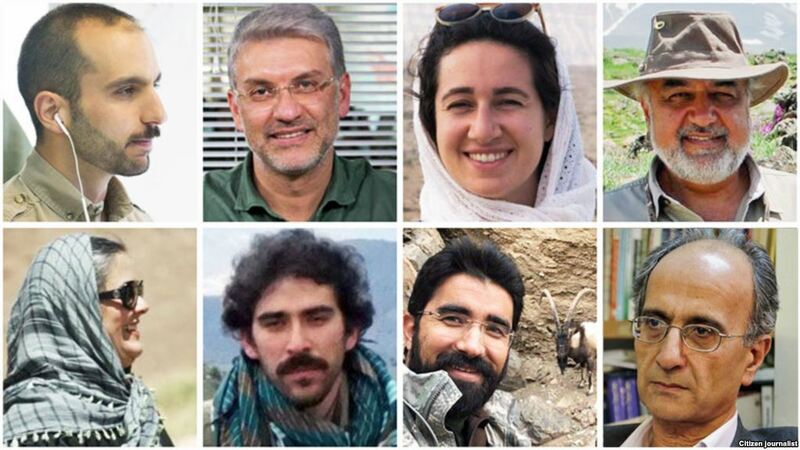 The regime’s judiciary ordered the Department of Environment (DoE) to cease its investigation into the arrest of seven environmentalists. DoE head Isa Kalantari told state-run news agency IRNA that the DoE had been warned by the judiciary that the cases of the environmentalists were none of the its concern, according to Radio Farda. Kalantari has bitterly criticized the judiciary over the proceedings against the environmentalists, which he says are shrouded in ambiguity. Keeping the environmentalist behind bars under the vague accusation of espionage, but without filing official charges, not only violates their rights, but has also put important environmental projects on hold, Kalantari said. Revolutionary Guards Corps intelligence agents arrested the environmentalists January 24, among them the Iranian-Canadian founder of Iran’s Wildlife Heritage, Kavous Seyyed-Emami. Two weeks later, officials announced that Seyyed-Emami had committed suicide at Tehran’s notorious Evin Prison, a story Seyyed-Emami’s friends and family categorically reject. It’s too bad the NAIC doesn’t take up the case of these environmentalists, but that would an inconvenient truth for them to deal with.